Judging from today's performance, the major indices have stepped out of the rising market. The Shenzhen Component Index and the GEM Index are particularly active. Compared to the world's major indices, the A-share market has finally shown a "high-spirited" side. The "red envelope market" that investors are expecting will reproduce the rivers and lakes. From the historical data point of view, since the 21st century, after the performance of the major trading indexes of the A shares in the five trading days after the Spring Festival, we found that the major indexes have a high probability of rising in the five trading days after the Spring Festival, A The "Spring Festival" of the stock market is not an idiotic dream. Among them, the performance of the GEM in the post-holiday market is the best, except for 2014, it has risen after the other seven Chinese New Year holidays. The Shanghai Stock Exchange and the Shenzhen Composite Index rose 15 times and 12 times respectively, showing relatively poor performance. It is worth mentioning that even in the 2005 and 2008 years of the Bear Roar, the Shanghai Composite Index and the Shenzhen Composite Index achieved an increase after the Spring Festival, which is a touch of candlelight in the dark. Although the opening of the A-shares in the Year of the Pig has made investors shout "Bai Er Shuang", the downturn in the box office market and the tourism market data of the Spring Festival holiday has made its prospects confusing. The total number of box office in the Spring Festival is over 5.8 billion yuan. According to relevant statistics, the total box office of the Spring Festival in 2019 was 5.84 billion yuan, a year-on-year increase of only 1.2%.Tianfeng SecuritiesThe predicted 4%-24% growth rate is quite different. The number of people watching the movie was 130 million, down 10.5% year-on-year, 15 million times less than the 2018 Spring Festival. The average fare was 44.8 yuan, a sharp increase of 12.8% year-on-year. The average number of visitors was 45, down 27.4% year-on-year, and the attendance rate was 35.5. %, down 25.1% year-on-year. It is not difficult to see that the rise of the box office of the Spring Festival this year is driven by fares. Although the growth rate of box office this year is less than expected, but the box office champion of the Spring Festival - "Wandering Earth" performance is remarkable. As of February 10, its cumulative box office exceeded 2 billion, compared to the declared cost of 320 million yuan, it can be said to earn a lot of money. At the same time, it also pioneered the domestic hard science fiction film, achieving the organic unity of high scores and high box office. After the "Wandering Earth" fire, the relevant listed companies were also popular. Main producerBeijing cultureA strong daily limit is the best case. In the past few years, "War Wolf 2", "No Name of the Generation", "I am not a drug god" and so on, it has its own figure. However, not all gold owners will be sought after like Beijing culture. Followed by "Crazy Alien" is terrible. Its producer, Joy Media, has signed an agreement with a guaranteed amount of 2.8 billion yuan. But as of yesterday, its box office was only 1.45 billion yuan, a far cry from it. Under such a "high price guarantee bureau", the stock price of Joy Media, which was listed in Hong Kong, fell 11.58% on the 8th. In addition, the piracy and diversification of entertainment methods have also had a greater impact on the growth rate of the box office. In this regard, Zhongtai Securities pointed out that a variety of entertainment methods impact, the user's diversion is also larger, the topic volume and search volume of the "Red Sea Action" in the same period last year was significantly higher than "Wandering Earth", the film and television drama "Know whether it should be The search volume of Green Manure and Red Skin is much more than the “Negotiation Officer” that was launched last year. The diversification of entertainment forms + the suppression of high fares + the gradual saturation of channel sinking lead to the mismatch between box office growth rate and screen growth rate. The attendance rate has dropped sharply, and the overall profitability of the industry will be further under pressure. The performance of the tourism market is also difficult to satisfy. According to estimates by the China Tourism Research Institute, this year's Spring Festival holiday received a total of 415 million tourists, a year-on-year increase of 7.6%; tourism revenue of 513.9 billion yuan, an increase of 8.2%; per capita tourism consumption of 1238.31 yuan, an increase of 0.6%. Compared with the tourist traffic and tourism revenue growth rate of more than 10% in the Spring Festival in previous years, the number of national tourists and the growth of tourism revenue in the Spring Festival this year have slowed down. From the perspective of the tourist crowd, the main force of the Spring Festival outings is concentrated in the 80s and 90s. According to the statistics of China Travel Service Association and Tuniu, the proportion of tourists in the 26-35 age group reaches 42%, and the proportion of tourists in the 36-45 age group reaches 35%. From the trip, it is a popular choice to “see the ice and snow in the north and enjoy the warmth in the south”. Take Sanya as an example. In the six days before the holiday, Sanya scenic spots and rural tourist spots received 1,043,500 tourists. The newly opened Atlantis Complex and Haichang Dream Night City are so popular that the average daily number of visitors is 13,900 and 0.80 million/day. In addition to the higher number of receptions, Sanya’s duty-free shops and sales have risen. according toSoochow SecuritiesAccording to the calculation, the number of visitors to Sanya Duty Free Shop has reached double-digit growth every day. It is expected that the growth rate of shop visitors in the first six days will be around 16%, the sales growth rate will be about 22%, and the customer unit price will increase by about 5%. . The Sanya tourism during the Spring Festival holiday is a double aura of full enjoyment of the “slow refuge” and open policy. Of course, the Guangzhou-Shenzhen-Hong Kong high-speed rail and the Hong Kong-Zhuhai-Macao Bridge have also promoted tourism in Hong Kong and Macao. From the statistical data, the growth rate of mainland visitors in Hong Kong was about 33% in the first six days of the Spring Festival, and the proportion of high-speed rail visitors to Hong Kong increased to 16.6%, which is further enhanced than the 18-year New Year's Day and 15% of the National Day. The high-speed railway has become an important part of going to Hong Kong. One way. The performance of Macau is also good. In the six days before the Spring Festival, the total number of Macao tourists increased by 27.4%, of which the Hong Kong-Zhuhai-Macao Bridge accounted for 16.1% of the total; the mainland tourists accounted for 73% of the total number of tourists, up 26% year-on-year, of which the Hong Kong-Zhuhai-Macao Bridge accounted for about 10% of the total. . This means that the opening of the Hong Kong-Zhuhai-Macao Bridge will have a great stimulating effect on Macau tourism. Huatai SecuritiesIt is believed that since the third quarter of last year, consumption pressure has led to a decline in the short-term growth rate of the tourism market. It is expected that the growth rate will be stabilized at a low base in the second half of this year. Some sub-sectors are expected to perform relatively well, such as duty-free shopping, surrounding parent-child tours, and near Exhibitors and so on. Chinese New Year liquor sales meet expectations. 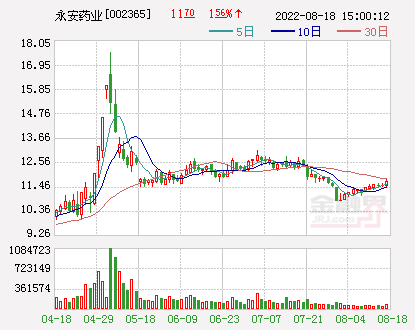 Maotai returned to 700 yuan to hit a new high this year. A total of 421 million passengers were sent nationwide during the Spring Festival holiday. The number of civil aviation transmissions increased by 10%. Sanya Spring Festival received a total of 996,500 tourists. The income was 10.385 billion, an increase of 7.04%. During the Spring Festival holiday, civil aviation transported 12.58 million passengers, a year-on-year increase of 10.6%.